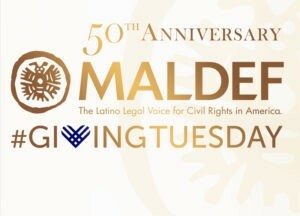 As MALDEF commemorates its 50th anniversary we thank you for your support past and present. 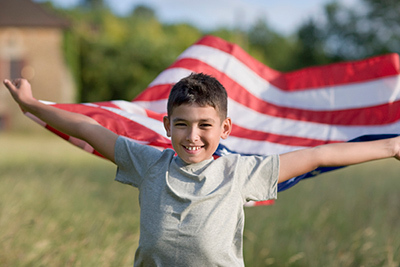 Your contribution helps us protect the right to vote; to challenge the addition of a citizenship question to Census 2020; to remind everyone of the Constitutional guarantee of citizenship to all persons born in the United States; and to continue to defend education and employment rights. Your support matters and by giving, we can continue to do what we have done for 50 years. This year has seen unthinkable public policy, defiant resistance and remarkable victory. Your support makes you a part of the resistance that supports democracy, the Constitution, and the return to a more just America. Please give today. Here’s to another 50 years of working together to defend voting rights, employment rights, educational rights and immigrant rights! So that we all have the opportunity live in a society where there is justice, health, equality and liberty for all.